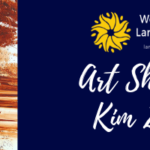 Join us to experience Ian Adams’s art exhibit! Ian Adams is an environmental photographer, writer and educator specializing in Ohio’s natural, rural, historical and garden areas. Twenty-two books of his color photography have been published, including Missouri Botanical Garden: Green for 150 Years, Our First Family’s Home: The Ohio Governor’s Residence & Heritage Garden, Backroads of Ohio, The Floridas, and Cuyahoga Valley National Park. A Photographer’s Guide to Ohio was released by Ohio University Press in June, 2011. Volume 2 of A Photographer’s Guide to Ohio was published in May, 2015, followed by the centennial edition of Stan Hywet Hall & Gardens, which was released by the University of Akron Press in June, 2015. Ohio in Photographs: A Portrait of the Buckeye State, co-photographed with Randall Schieber, with text by John Fleischman and a foreword by Ohio Governor John Kasich, was released by Ohio University Press in March, 2017. Ian’s first eBook, iPhone Landscape & Nature Photography, was published in August, 2018. Since 1989, Ian has produced more than sixty Ohio calendars and conducted over 200 seminars and workshops in nature, garden, and digital photography throughout North America. He is an adjunct professor at Ohio State University’s Agricultural Technical Institute in Wooster, Ohio, where he has taught horticultural photography for 8 years. 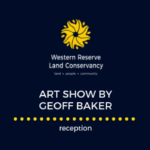 Ian Adams’s work will be on display at Western Reserve Land Conservancy October 17, 2018 through January 7, 2019. The Land Conservancy’s Conservation Center is open to the public Monday through Friday from 8:30 AM – 5 PM. Please join us for a reception with the artist on Wednesday, October 17 from 5 – 7 PM. Wine and light hors d’oeuvres provided. Casual attire.